MattyB Net Worth 2018 – How Much Is the Singer Worth Now? 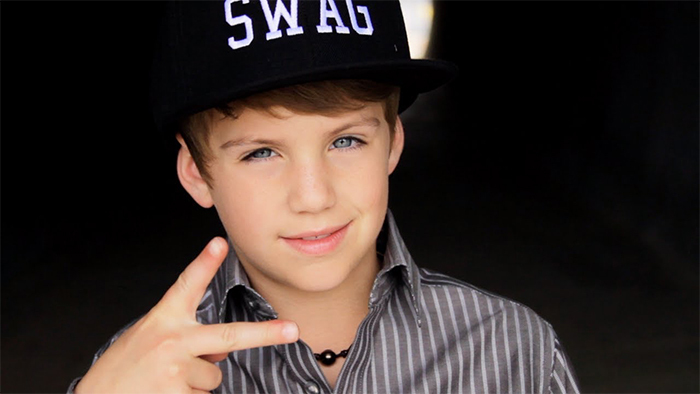 American rapper Matthew David Morris- better known as MattyB, rose to fame for his popular remix videos on Youtube. Hailing from Georgia, he first gravitated towards hip hop music at the age of five. With the help of his cousin, he eventually created his own rap song, Eenie Meenie, which he later uploaded onto his Youtube channel. At the beginning of his music career, he covered numerous songs including the works of Justin Bieber, Kesha, Willow Smith, and Rihanna. Since then, MattyB has moved onto performing original material; to date, he has released well over half a dozen singles such as Sugar Sugar, Be Right There, and That Girl is Mine. Not only has he made a name for himself as a recording artist, but he also has a significant following across multiple social media platforms including Instagram, Twitter, Facebook, and of course- Youtube. From posting cover videos to releasing his own singles, MattyB has come a long way since 2010. According to various sources, the Georgia rapper currently has an estimated net worth of $3 million. To find out where he earned this amount came from, we’ll have to take a more detailed look at his career. How did MattyB Make His Money & Wealth? Born on January 6, 2003, in Duluth, Georgia, MattyBRaps (Real Name: Matthew David Morris) first developed an interest in music- specifically hip hop, at the tender age of five. Drawn to the beats, he had even wanted to take up dance lessons. Ultimately, it was after his cousin Mars- who happened to be a rapper, moved in with his family, that he started to get involved with the art form himself. Convincing Mars to help him, the two eventually wrote his first song, Eenie Meenie; it was later uploaded onto his Youtube channel, where it quickly racked up over 500,000 views within a week’s time. Motivated by his initial success, MattyB began to update his page regularly with new material- mostly cover songs. Inspired by some of his favourite artists, he posted a variety of remixes, often his own renditions of Justin Bieber, Rihanna, Willow Smith, and Kesha’s tracks. At one point, he even rapped to the popular rap song, Like a G6, which he accompanied with a music video- one that featured him dancing around a car wearing purple shades and a leather jacket. As he gradually rose to fame, the rapper started to release tracks with original lyrics. On June 22, 2010, MattyB dropped the title, I Believe in You, his first song with original lyrics. A collaboration with his cousin Mars, the remix was ultimately met with a positive reception. Uploaded onto Youtube that same day, the video has since received over 230,000 views. From there, the young rapper released a remix of Just the Way You Are (Feat. Tyler Ward), which was made available for purchase on August 11, 2010. Dedicated to his little sister Sarah Grace who was born with Down Syndrome, its music video quickly reeled in the hits on Youtube. While Tyler Ward himself did not appear in the MV, MattyB’s sister appeared throughout the video. As of June 2017, the song has been viewed more than 25.8 million times. On September 8, 2011, he dropped his first original song, Forever and Always at the age of eight. From there, he released the singles, Sugar Sugar and That’s the Way on February 8, 2012. Met with positive reviews on the iTunes store, the two titles have garnered more than 14.7 million views combined on Youtube. By then, MattyB already had an established fanbase online. That summer, the aspiring rapper released his next track, Be Right There on June 14, 2012. Even more popular than his previous works, its view count went up to the thousands, and then into the tens of thousands within a few days. Since then, its official music video has been streamed over 7.7 million times on his Youtube channel. Currently on the iTunes store, the single has been rated 4.4 stars; similarly on Google Play, it holds 4.7 stars. Continuing with his momentum, MattyB came out with his third original song, That Girl is Mine on September 12, 2012. His most popular release at the time, it didn’t take long for it to garner millions of views on Youtube. Accompanied by a music video that featured many of his friends, the track earned numerous praises from fans shortly after its release. So far, the official MV has been streamed more than 38.9 million times on his Youtube channel. The following February, he released the single, You Make My Heart Skip. From there, MattyB dropped his next song, Hooked on You on August 7, 2013. Although reviews for the latter were generally mixed, its MV still managed to receive a significant amount of views- as of 2017, it has been viewed over 35.6 million times. Before the end of the year on December 3, 2013, he came out with the single, Back in Time. One of MattyB’s personal favourites, the MV featured him dancing with a few radical birds from the movie, Free Birds. In the summer of 2016, MattyB- who was now thirteen, released a new song entitled, Blue Skies. As with his previous releases, the single was made available on the iTunes store, where it was quick to garner positive reviews. A few weeks later, the singer uploaded an official MV to his Youtube page; said video has since been viewed over 26.4 million times on the site. Most recently on March 22, 2017, the pop singer delivered his latest single, California Dreamin via digital download. Given stellar reviews, it has become one of the greatest highlights of the artist’s career, with over 43.2 million hits on Youtube. On Soundcloud, the track has also been streamed more than 117K times with 2,000 likes. Obviously, from everything that we’ve mentioned above, it’s clear that MattyB had earned most of his initial wealth directly from his singles- it’s not a small feat for one to be able to garner millions upon millions of views for a song after all. Aside from his record sales however, the singer- like most celebrities, has several other streams of income. For instance, the Youtube channel that we kept mentioning above earns him a significant amount through Google’s adsense program. By displaying ads on a Youtube video, a user can earn a set amount per 1,000 views, depending on their content, reach, and audience. According to various sources, this set amount ranges anywhere from $2 to $5. From 2010 until now, MattyB has amassed over 8.5 million subscribers on his channel; altogether, his page has received more than 3.9 billion views. Assuming that he earns at least $2 per a thousand views, that itself works out to be earnings of $3.1 million- naturally, Google would take a cut, but that kind of figure in itself is impressive nonetheless. So far, his most popular upload, Gym Class Heroes: Stereo Hearts has been played more than 188 million times. Some of his other big hits include his covers of Call Me Maybe By Carly Rae, Want U Back by Cher Lloyd, and Ms. Jackson by Outcast. Altogether, these videos have over 580 million hits. Aside from all that, the teen also makes a significant amount from putting on live shows (naturally, MattyB would receive a hefty pay check for each performance). Considering his overwhelming popularity online, it’s not surprising to know that he has his fair share of fans who are willing to pay to see him perform on stage. For instance in 2016, he performed a dozen shows at various cities from Dallas, Texas, to Adelaide, Australia. In fact, the pop singer is currently on tour- and will be until September 2017. For fans who’d like to support his efforts, MattyB has also set up an online store via Spreadshirt, where one can purchase a variety of items from t-shirts to iPhone cases. Looking at it now, the products range anywhere from $5 for a wristband to $35 for a hoodie. As far as other endeavours go, the rapper released his first memoir, That’s a Rap last summer on June 7, 2016. 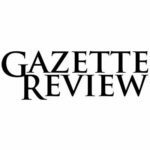 Written by Travis Thrasher, a bestselling author who has helped write numerous memoirs, the general consensus for the book upon its release was positive. Recognized for his immense potential and talent, MattyB has been invited onto several TV shows over the years. Some of these include The Wendy Williams Show, Entertainment Tonight, Today, Dr. Phil, The Queen Latifah Show, and Dance Moms. At one point, he even had the chance to appear alongside The Rock aka Dwayne Johnson on WWE Raw. Currently it is estimated that the 14-year-old rapper has a net worth of $3 million. Judging by his success thus far, it’s almost guaranteed that his career will continue to flourish over the next few years- especially given his young age. No, MattyB is not married. Seeing as how he’s only fourteen years old, it’s probably a little early for him to be thinking of something like marriage. In the past however, there had been rumours of him having dated Kate Cadogan, a childhood friend, and Jojo Siwa, a popular dancer and Youtube. Where Does MattyB Go to School? From what we can gather, MattyB attends Wesleyan school- an independent school located in the Atlanta suburbs of Peachtree Corners. Where Did MattyB Get His Name From? The “Matty” from his current stage name is derived from his given name, Matthew. Having said that, the meaning behind the attached “B” has never been explained by the singer. A middle school student, MattyB currently resides in his hometown of Atlanta, Georgia, with his parents and three siblings. Still a minor, details regarding his home have never been revealed to the public, and rightfully so. We do not have nay pictures of Matty B’s house to share at this time. 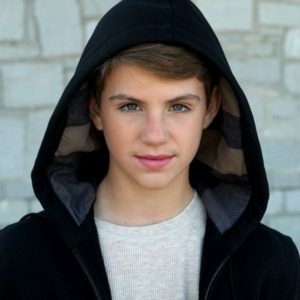 At just fourteen years old, Matty B has captured the hearts of millions of fans across the world with his musical talents. On Youtube alone, he’s reached over 8.5 million subscribers and more than 3.2 billion lifetime views. On Instagram and Twitter, the singer also has close to 4 million fans combined. Incredibly popular, he has embarked on a number of concert tours since his debut in 2010. On television, he’s also appeared on numerous shows, as mentioned earlier, including Today, The Wendy Williams Show, Dance Moms, The Queen Latifah Show, and Entertainment Tonight. In 2014, he even had his own reality TV series, MattyB’s World. MattyB is currently on the road for a concert tour, which is slated to continue until September 3, 2017.